I'm in a new team that's all about making Etsy treasuries! It's called Selection Perfection and is under going approval for becoming an official Etsy team. 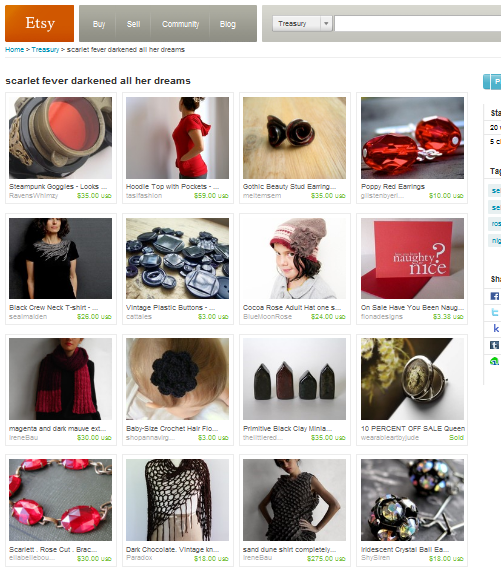 One team member (Luncheonette Vintage) has already made a treasury, and I'm in it! Another team member (Cat Tales) also made one, here. Here's the one I made for the team: Creamy Confection. love it. thanks so much for posting the treasury. there's so much talent in selection perfection.